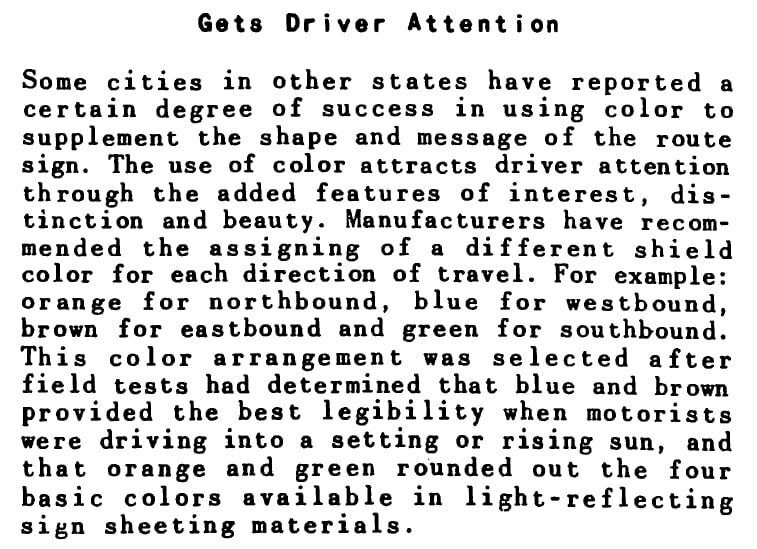 "In 1956, the language of the MUTCD allowed the use of colored shields. 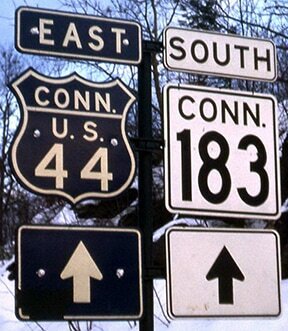 But by the 1980s, the verbiage in the MUTCD had changed, prohibiting the use of colors other than black and white on the standard US highway shield. 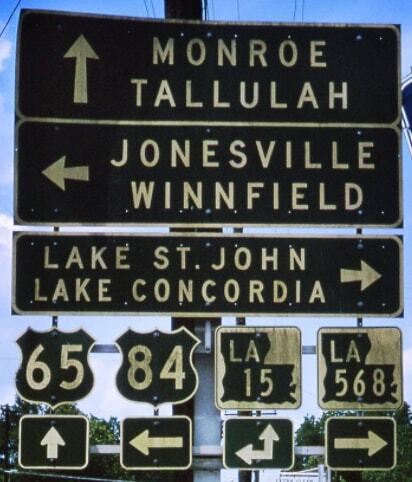 So after three decades of use, Florida's colored US highway signs were suddenly considered non-standard. FHWA refused to allow Federal gas tax funds to be spent on new or replacement colored US shields. 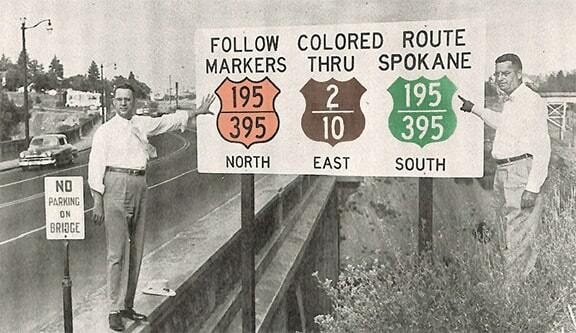 The colored US shields were no more expensive than a standard US marker, although yellow and orange markers did require more frequent replacement. FDOT maintenance forces placed colored shields up at state expense. 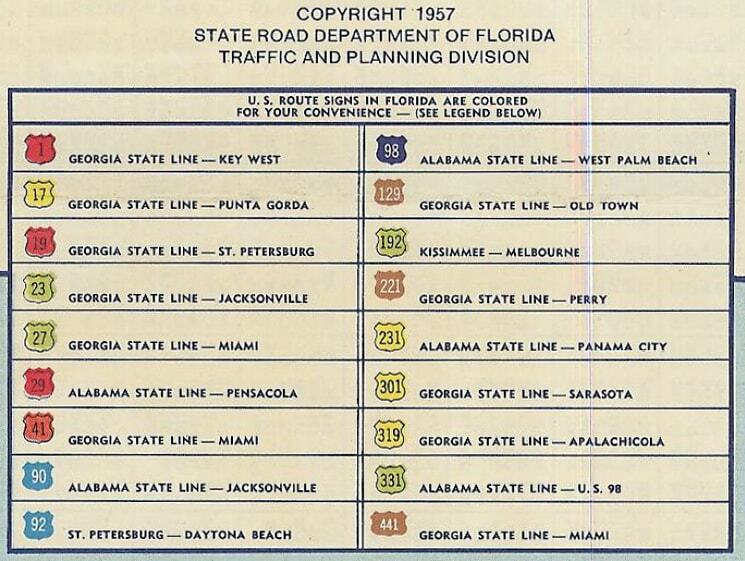 Florida officially ceased producing colored US route markers on August 27, 1993. No new colored US shields were made after that time, but old stocks were used until they were exhausted. The last of the old colored shields were posted in 1996. 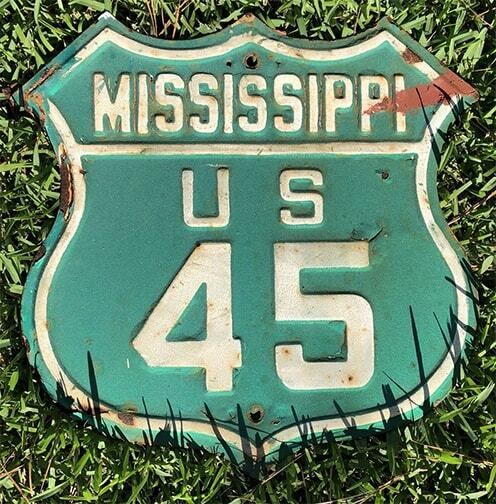 Each year that passes, there are fewer of the old colored signs left. They are being replaced with standard MUTCD black and white signs. Occasionally a county or private entity will post a sign in the old color scheme, but that is a rare event." Northbound US 240 was obviously blue, and there is evidence that southbound US 240 was red. 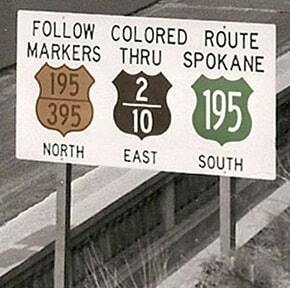 Since 1978, Idaho has used brown highway markers on its officially-designated scenic byways (US and state routes). 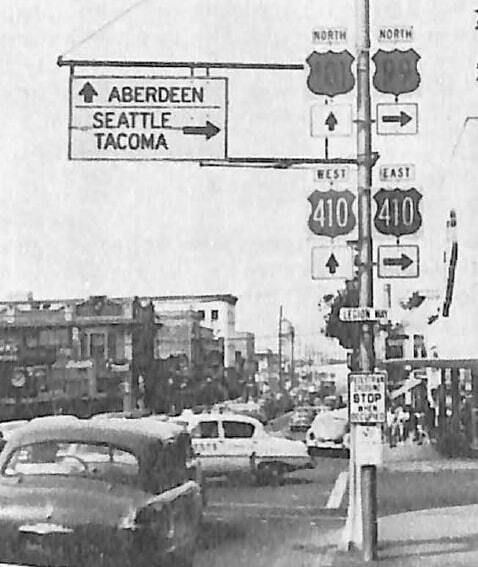 Possibly a different color scheme was used during the 1950s, but few details are known. 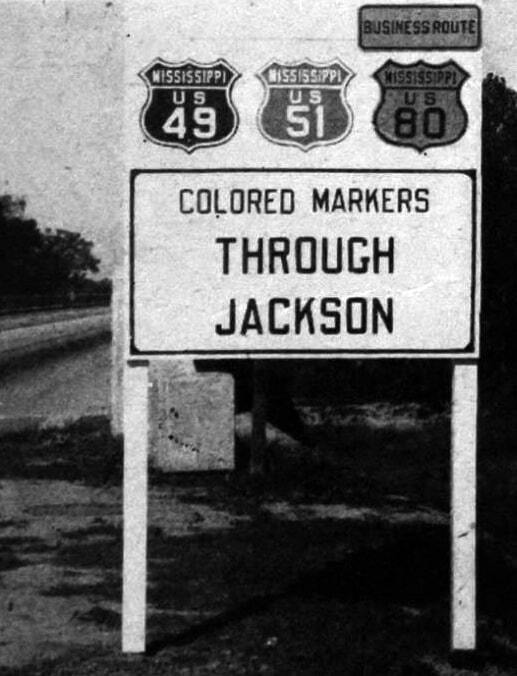 Reportedly, from the 1930s-70s, at places where US highways entered Indiana, the route markers were gold-on-blue. 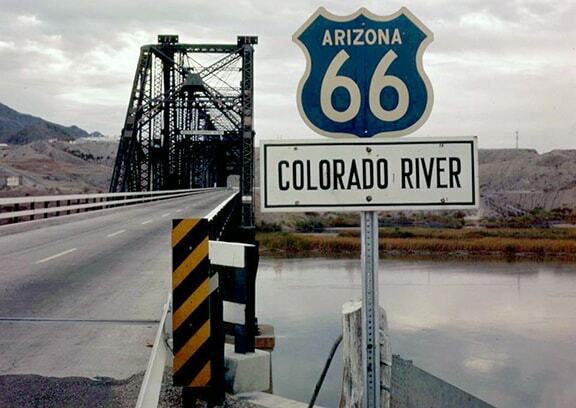 I suspect that second photo was taken after the first, and here's why I think it was corrected: I believe that sign was posted on the High Bridge over Latah (aka Hangman) Creek, in which case southbound US 395 would have been behind the camera, so it did not make sense to reference it heading that direction at that location. last updated Mar. 19, 2019.